A touch smaller than the Classic; they don't sacrifice any of the "homeyness" that distinguishes Goldminer's Daughter from other lodges. 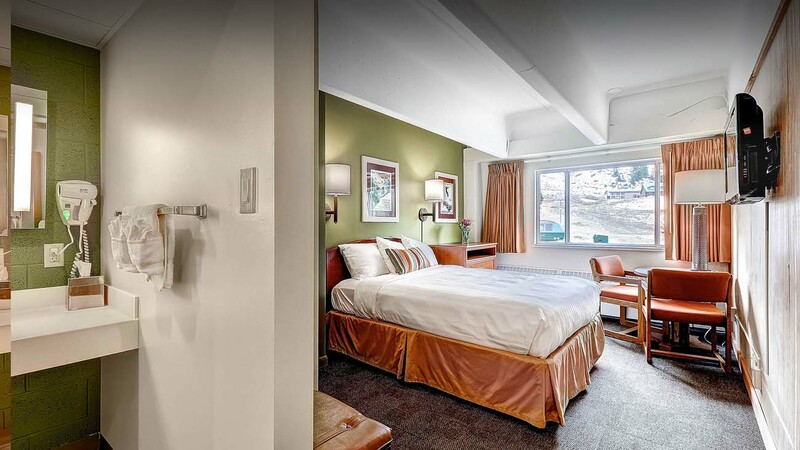 The Small Guest Rooms provide ample space for two people and their ski gear. Our small guest rooms are great for a single or a couple. They have approximately 275 square feet of living space, one queen bed, and bathroom with a shower (no bathtub), and are comfortably furnished with everything you need. Breakfast and dinner are included at the restaurant just down the hall.